We have limited storage space in our house, so I don’t collect many holiday decorations. 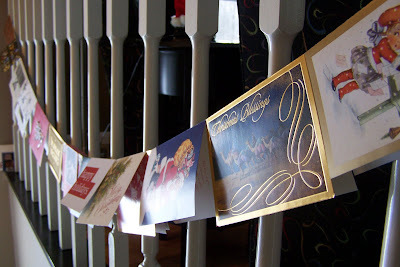 When I was growing up my parents hung their Christmas cards in the dining room from a string criss-crossed from corner to corner. 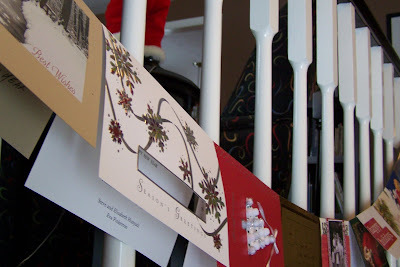 With the open floor plan in my house, we don’t really have a good space to do this, so in honor of my family tradition, we string our cards across our railing. A few years ago I found a small tree at Salvation Army that I gave to my girls to decorate. 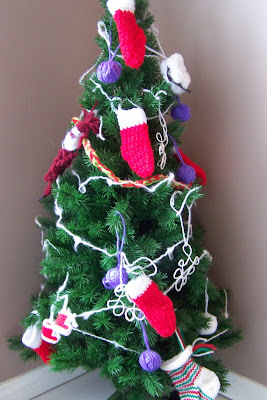 It has evolved into our yarn tree that is placed in our entrance way. 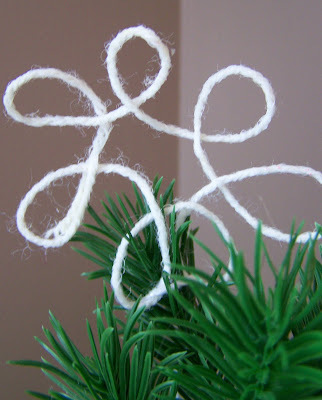 It has a garland of fuzzy white yarn and is adorned with stockings knit or crocheted by friends. 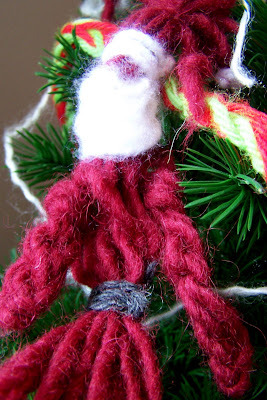 Annie and I made the purple yarn ball ornaments for members of our knitting club a couple years ago. The star is an ornament that we made with the knitting club. It’s one in which you run the yarn through glue and place it on wax paper over a template. Finally, I love the yarn Santa that Annie made.